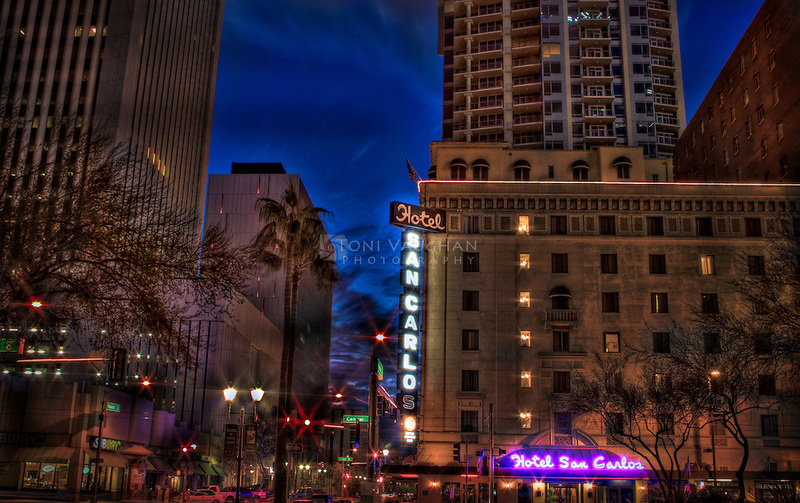 The Hotel San Carlos branch in Phoenix, Arizona, also known as San Carlos Hotel, is both an operating hotel and tourist site. It has been associated with ghost sightings. It was listed on the National Register of Historic Places (NRHP) in 1983 as San Carlos Hotel.